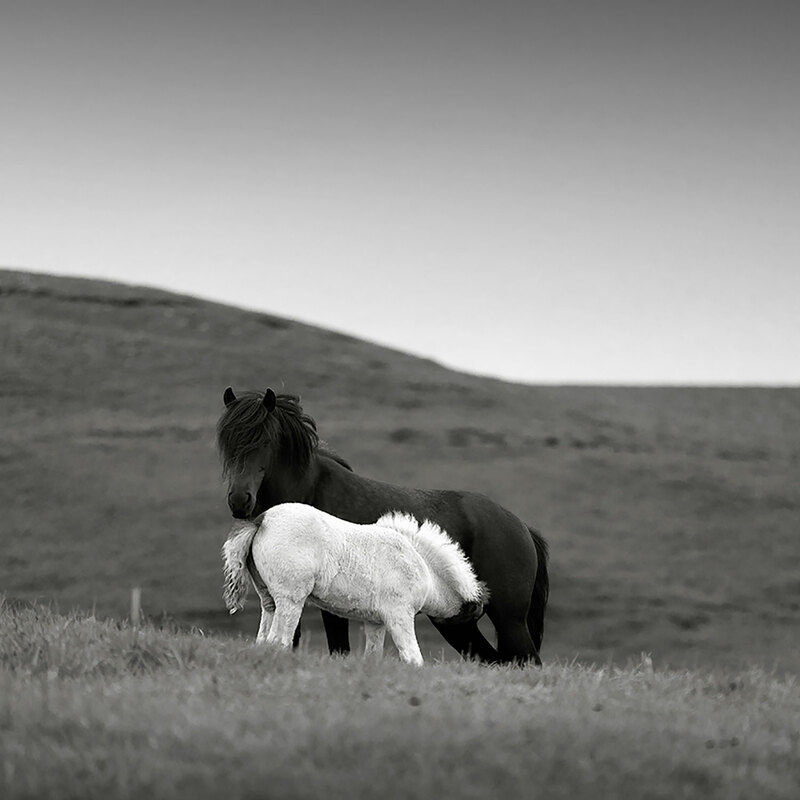 CUSTOMER CASE STUDY: Hauntingly beautiful black & white images of North Icelandic Horses. 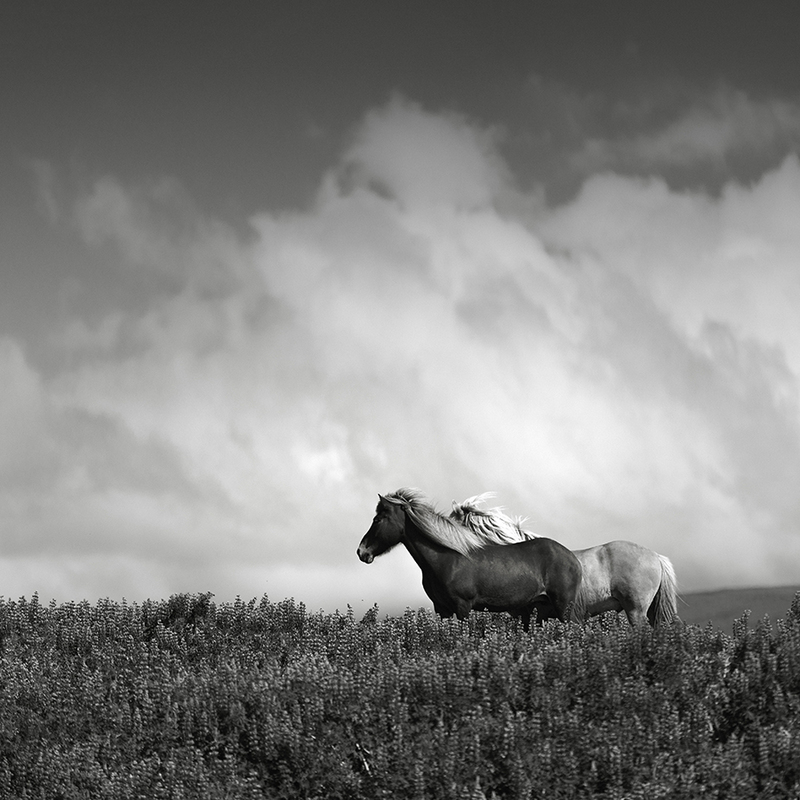 Lisa Katsiaris contacted us looking for a lens to take on her trip to photograph horses in the north of Iceland and produced some wonderful results, under the moody skies. 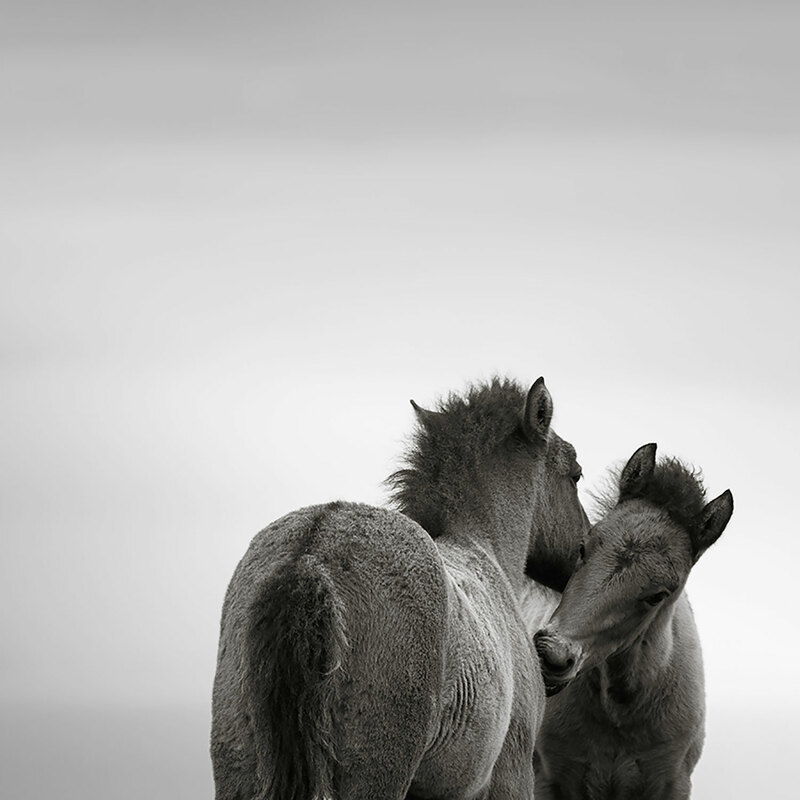 "I have a clear photographic vision and style, so I knew in advance the type of shots I wanted to create of the Icelandic horses. 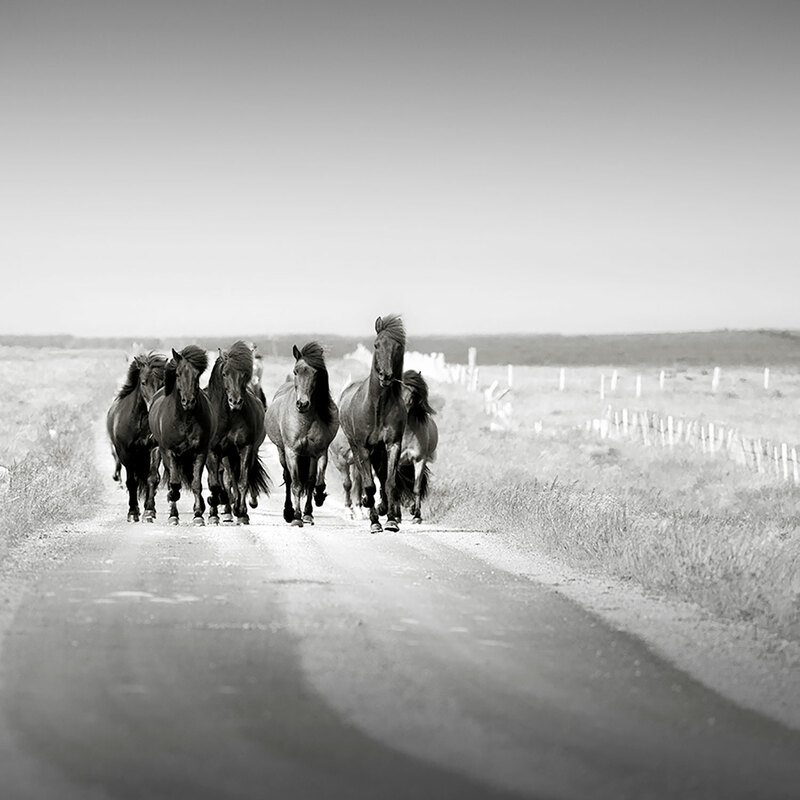 The fact that I’ve photographed horses and been to Iceland before helped with my creative thought process and planning for my trip. Previously, I’ve travelled with two camera bodies and two lenses: the Canon 24-70mm f/2.8L II and the Canon 70-300mm f/4-5.6L IS. They’re both great lenses and the 70-300mm is an ideal lens for travelling because of its size and weight. However, I felt that the f/5.6 aperture at the longer focal lengths might not deliver the look I was after. My photography is influenced by the Japanese concept of ma – the fundamental time and space that life needs to grow and that our thoughts need to flourish – so I’m always looking to create a sense of space by simplifying compositions, isolating my subjects within the frame and removing the superfluous. I knew that working with a wider aperture would enable me to blur the backgrounds of my images and help create that sense of space. I thought it was unlikely that I’d need the reach of a 300mm lens, so I decided to hire the Canon 70-200mm f/2.8L IS II. I thought that the extra stops might also be welcome since Iceland isn’t renowned for its bright light, even in Summer when the sun barely dips below the horizon. It was a bit of a gamble – relying on an untried lens from a company I’d never used before – but the service from Hireacamera was faultless; they even delivered the lens two days early to give me a buffer if there was a problem with delivery (which there wasn’t). As for the lens, it’s a fantastic piece of kit and possibly a fraction sharper than the 70-300mm. Yes, it’s a tad heavy when handholding for long periods, but nothing that I couldn’t manage. 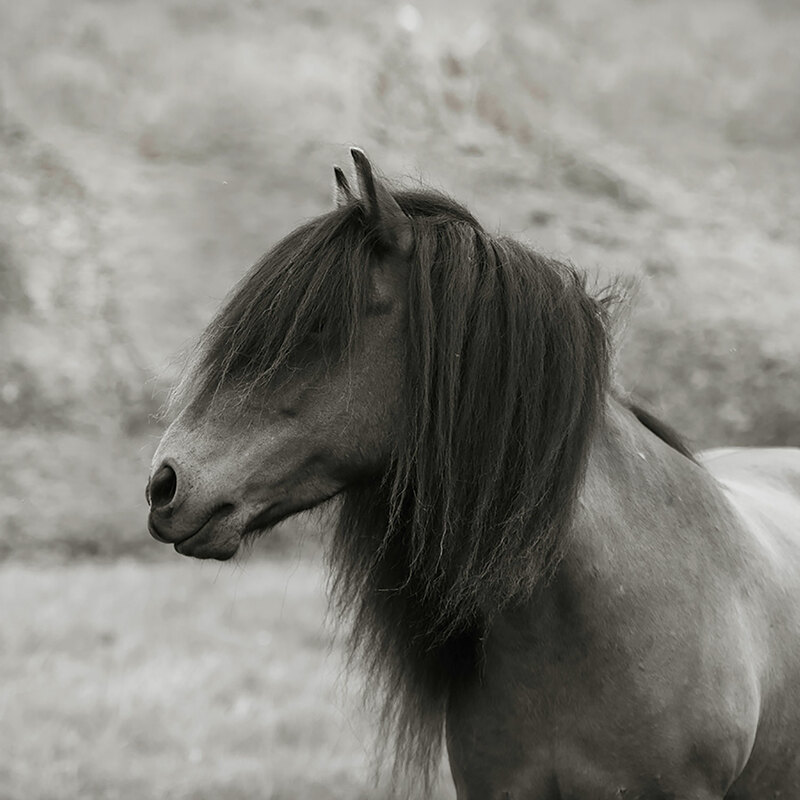 I barely used my other lenses and the majority of the images in my Icelandic horses portfolio, ‘Indomitable’, were taken with the lens that I hired. The trip was a great successful and it was a privilege to spend time with these beautiful, gentle, inquisitive creatures. 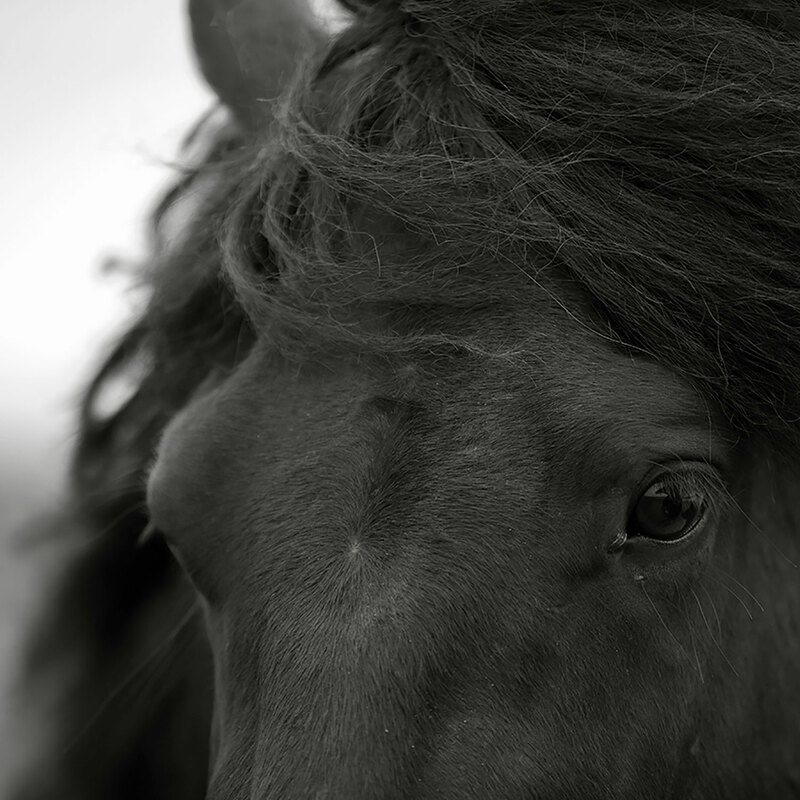 Whoever said ‘never work with children and animals’ clearly hasn’t worked with Icelandic horses!" We would like to say a huge thank you to Lisa for sharing these dramatic, beautiful images with us, and for her hugely inspirational words. Hire the Canon EF 70-200mm f/2.8L IS II USM, HERE.